It’s enlightening to read the introduction to this 1983 book by series co-creator Kevin O’Neill, stating that ABC Warriors wouldn’t return, so this and its companion first volume form a commemorative archive. 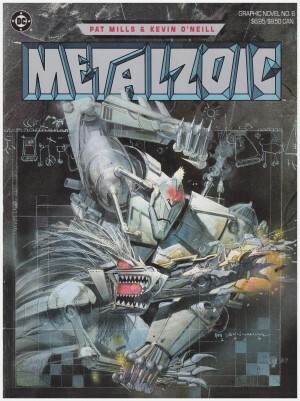 Thankfully, O’Neill was wrong, but for the start of that material see the first Mek Files, which begins with the stories from these Titan collections. 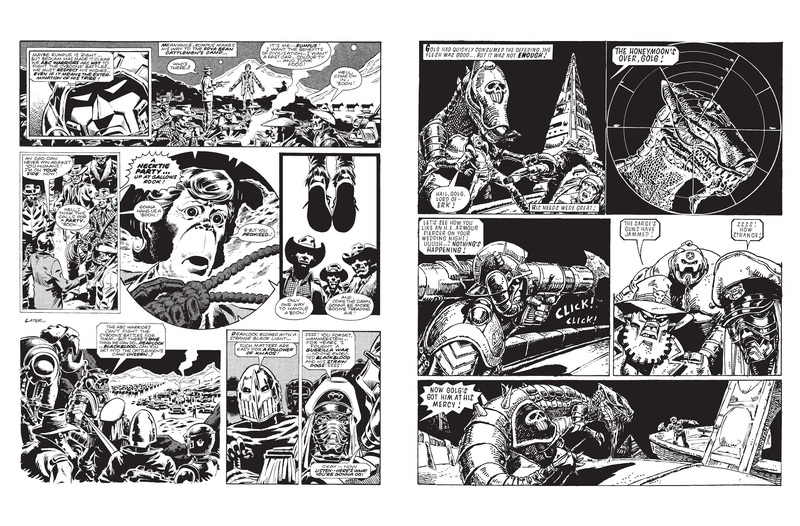 In his memoir Be Pure, Be Vigilant, Behave, Pat Mills echoes O’Neill’s sentiments of the time, talking of the difficulty of writing stories tailored to the individual style of whichever artist was assigned to the strip each week. That led to his drawing what he thought was a line under the series with the stories reprinted here. His point about the variety is obvious from the reading. 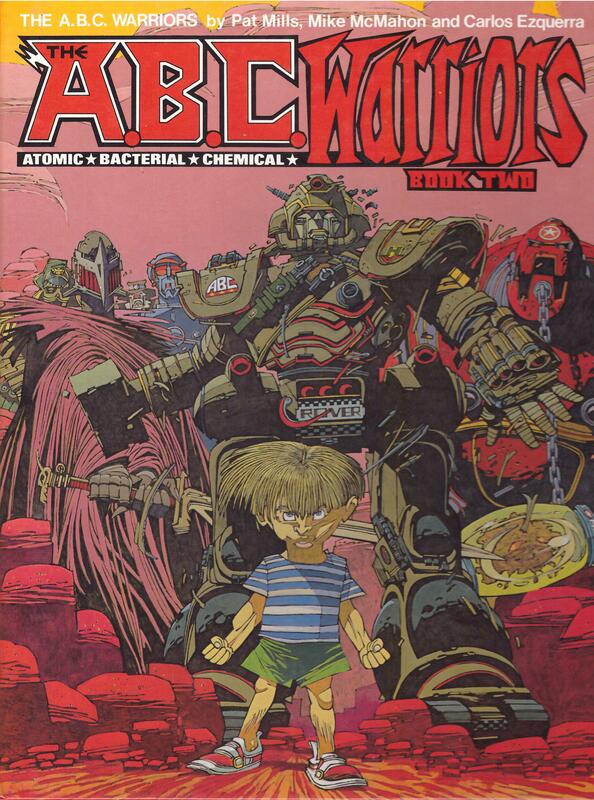 Under a broad theme of seven robots tasked with troubleshooting on a colonised Mars, they range from an opening story concluding the Dave Gibbons drawn space western featuring a sasquatch in teddy boy drapes, to the utterly loopy Mike McMahon story about a skyscraper sized robot with four brains. The one thing lacking is the war story that was supposed to be the series premise. That sheer variety, however, is what sustains the early ABC Warriors as fresh and interesting today. Also serving that purpose are the two loose cannons in the line-up. Former Volgon, General Blueblood has allegedly been reprogrammed to ensure his loyalty, but Mills ensures there’s always a seed of doubt, and the mystic robot Deadlock also features in a few deliberately sinister moments, his agenda unknown. That would be picked up when Mills revived the series in The Black Hole in 1988. 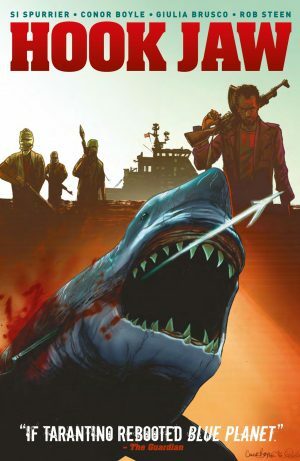 Beyond that Mills indulges a broad streak of malevolence, killing possessed small children, unsentimentally offing other sympathetic characters and returning a crowd pleasing favourite from another of his 2000AD series in all but name. 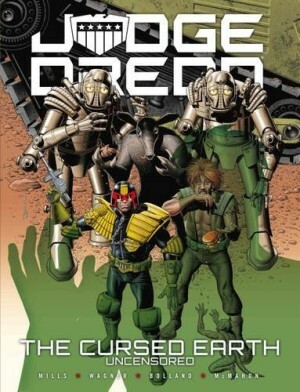 This time around there’s no Brendan McCarthy or Brett Ewins art, but Carlos Ezquerra is great with a rampaging dinosaur, Gibbons poised and polished, McMahon superb throughout and O’Neill wonderful on the demented epilogue. There’s barely a dull page of art throughout the 150 pages of the ABC Warriors’ original run, and that the stories are frenziedly entertaining is a bonus. The previous volume suffered from poor black and white reproduction of what were originally colour pages. That’s not a consideration here, so that makes the hardcover volume on crisp white paper a desirable artefact. 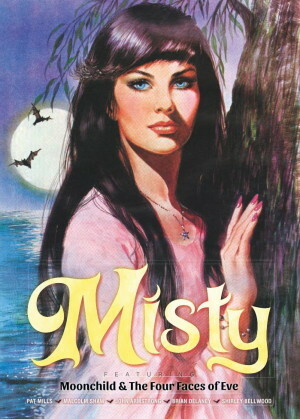 There’s also a paperback version, but more easily found is The Meknificent Seven, which combines Book One with Book Two.